Blast your present with an Aaron Basha charm from the past! This adorable black lacquered saddle shoe has a white lacquer accent and is crafted in 18kt white gold. Splendid diamonds adorn the shoe with one sparkling diamond in the center of the bow. Dangling from one of the shoelace loops is a bright, red fish to pop a little fun into this piece. 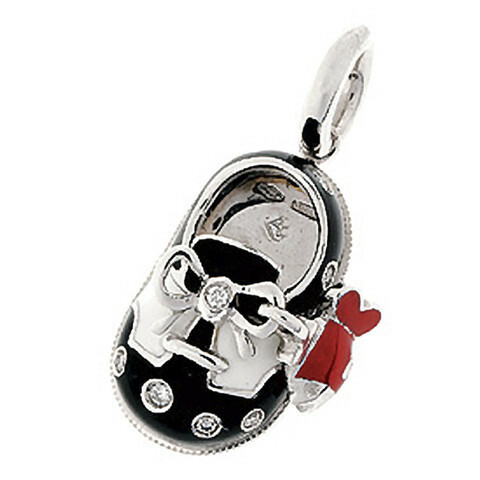 This unspoiled charm from Aaron Basha is the perfect push gift.